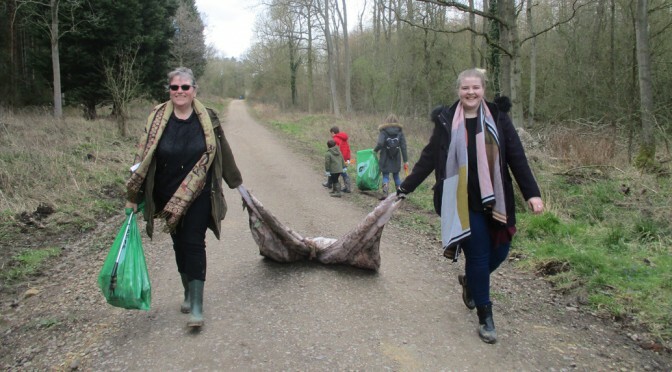 We had quite a large crowd for our litter pick – around six McDonalds employees, and 16 members of the Friends of Bourne Woods or members of the public, plus children and dogs! The weather was much improved from earlier in the week with plenty of sunshine. March is a really good month to do a deep clean in the wood as the undergrowth has died back leaving litter which was previously hidden, suddenly visible. McDonalds very kindly supplied the bags, their own litter pickers, and disposed of the rubbish at the end. After a short health and safety talk, people were furnished with litter pickers and disbursed in groups along various trails to collect whatever litter they could find. The most unusual item this time was an eiderdown. As always there were lots of bottles (both plastic and glass), cans, crisp packets and dog bags. Attention was paid not just to the sides of the rides but the areas in the wood as well if accessible. 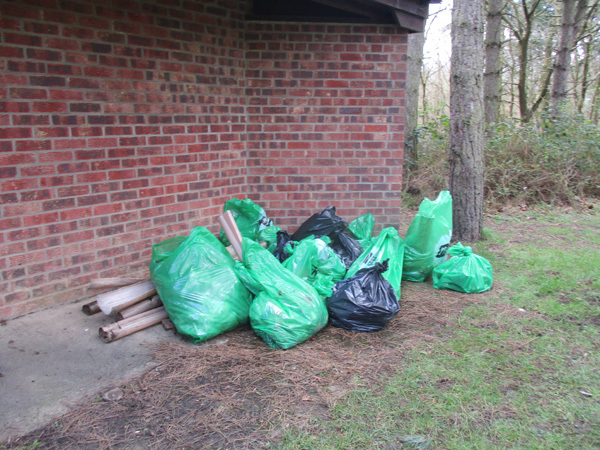 By the end of the two hours around 14 bags of litter were collected. A massive thank you to all those who helped and to McDonalds for supporting the event. 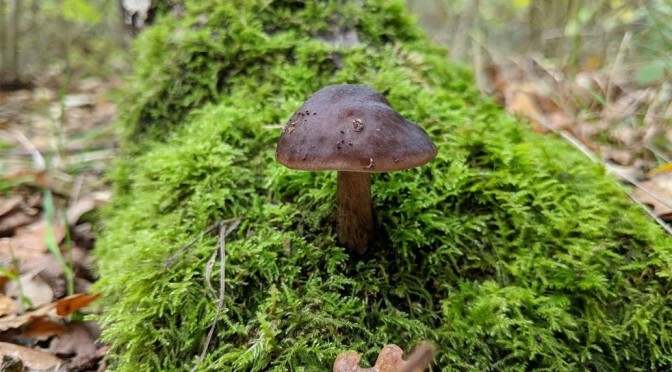 This really makes a big difference to our woods, providing a cleaner and safer environment not only for the public but also to all the wildlife. 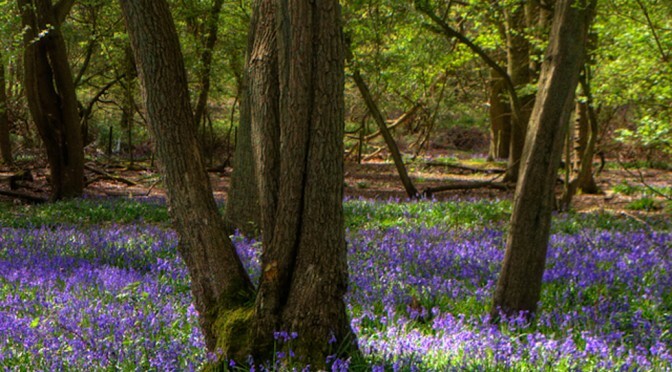 Bourne Wood is managed as a commercial forest by the Forestry Commission (FC), although conservation of wildlife and recreation are also important objectives. The main purpose of forestry is to grow and harvest or fell trees for timber for a wide range of outlets and uses including for the domestic construction industry, paper production, the manufacture of panels or board, fencing and pallets and to a lesser extent, fuel. 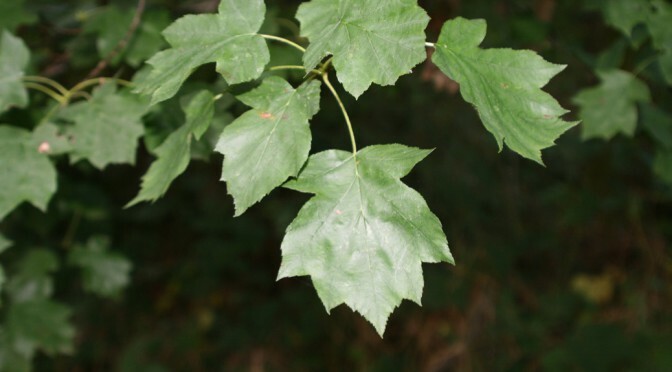 Bourne Wood produces both hardwood timber from broad-leaved species such as oak and wild cherry and softwood from conifers such as Corsican and Scots Pine and European Larch. Many softwoods are harvested after 60 years whereas for a hardwood such as oak, the rotation may be as long as 150 years. 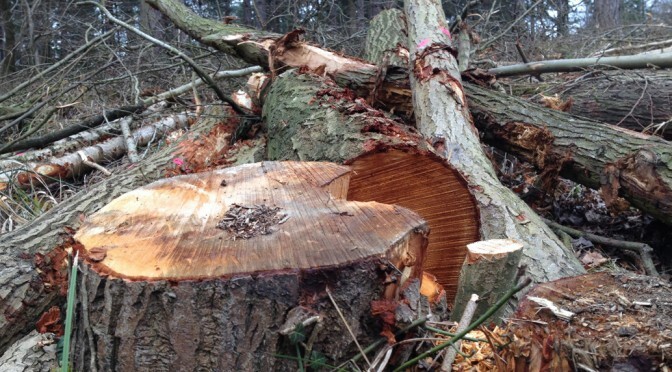 In addition to the felling and extraction of the final timber/tree ‘crop’ at harvestable age, a selection of trees are removed at intervals after their initial establishment to reduce the density of trees in a plantation, improve the quality and growth of the remaining trees and produce a saleable final product. This is known as thinning. 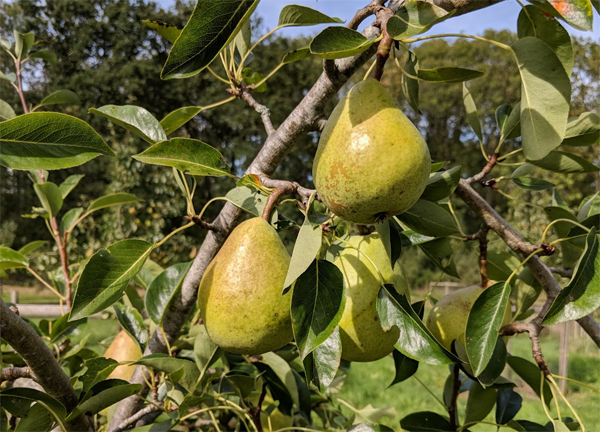 Normally the first thinning is undertaken when trees have reached between 10 and14 metres in height but the exact timing is dependent on the tree species, the nature of the local environment and financial and marketing considerations. 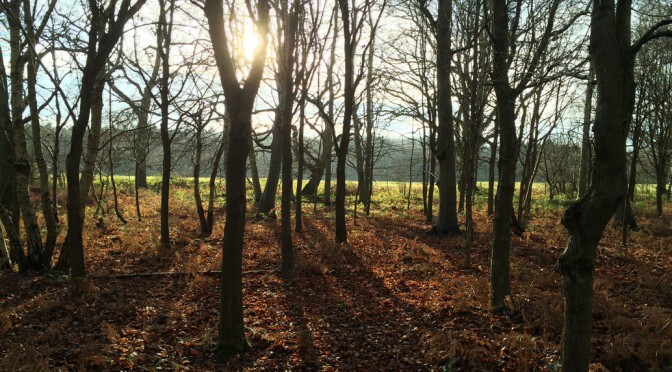 All Forestry Commission woods are managed sustainably such that new trees are planted, or allowed to regenerate naturally, to replace those that have been felled and removed. 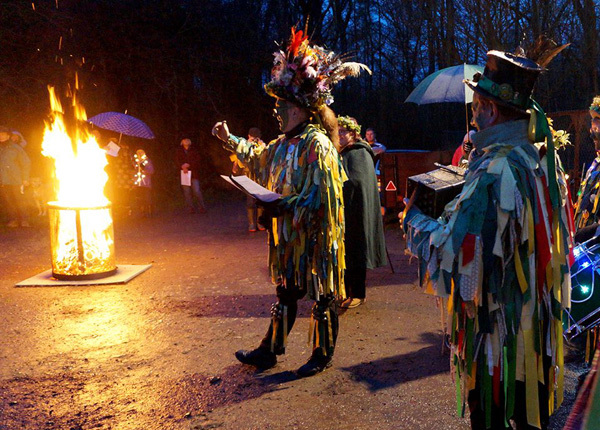 The Friends of Bourne Wood, in conjunction with Bourne Borderers Morris, held their third Wassail in the community orchard in Bourne on Saturday. 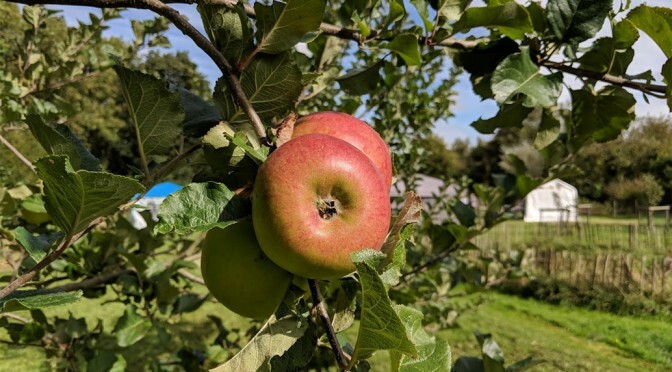 A Wassail is a traditional custom to celebrate the apple harvest of last year, to reawaken the trees, and to encourage them to bear fruit this year. The weather kept threatening to rain but that did not deter the large crowd of around 100 that had gathered by 4.30pm to join in the celebration. Everyone was welcomed to the event, and then Bourne Borderers commenced the proceedings with a traditional Morris dance. Those attending were then offered a taste of either mulled cider or apple juice and some cake, before everyone sung the ‘Apple Tree Wassail’. The gathering then proceeded into the orchard, led by the Wassail Queen. The orchard had been decorated with lots of tea lights, and fairy lights and looked magical in the dusk. 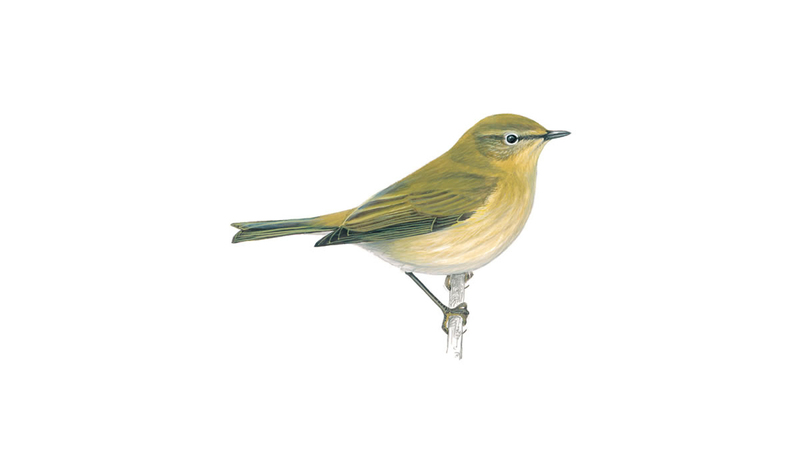 The trees were blessed with cider, and toast was placed in the branches for the robins, by anyone wishing to take part, while the musicians continued to play. The trees were wassailed, with the customary poem, followed by lots of noise, with everyone present banging pots and pans, and cheering! 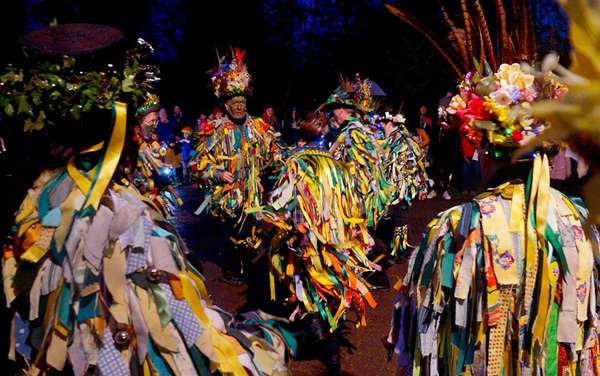 Once back on the hard-standing the Borderers danced again, and all joined in the ‘Here we come a wassailing’. 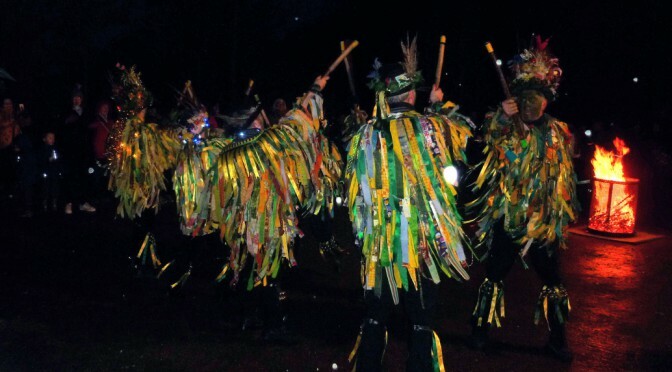 The evening ended with the Mummers play. The Friends would like to thank everyone for supporting this event, and especially Bourne Borderers for their help and support, and all those who provided cakes and helped out on the day. 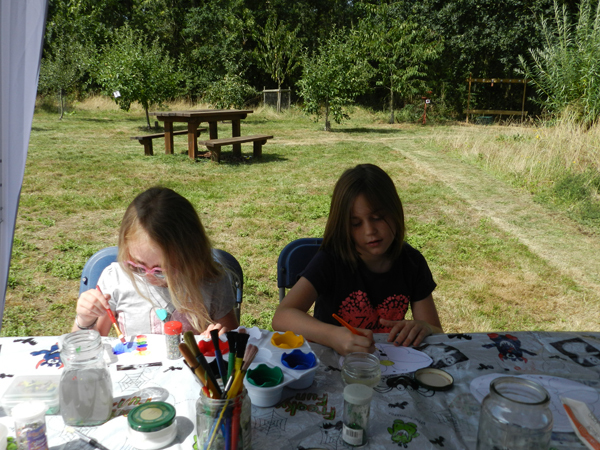 We had a lovely sunny and warm day for the Friends of Bourne Woods first children’s activity event in the Bourne Community Orchard on Saturday. 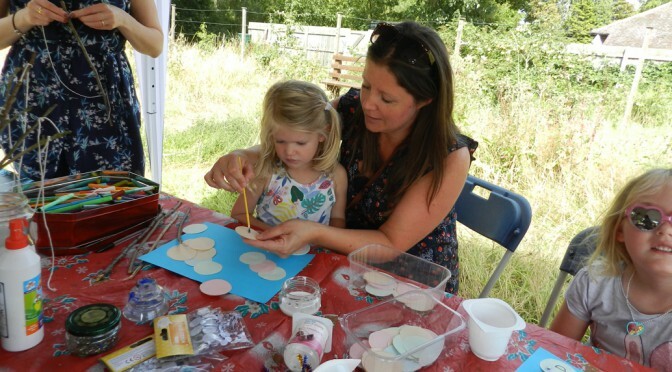 There were plenty of activities for children to try their hands at – painting butterflies which could fly in the wind, making caterpillars, building their own bug hotel to take home, and a treasure hunt around the orchard. Taking part in the treasure hunt gave the children a chance to win a copy of ‘The Very Hungry Caterpillar’ book by Eric Carle. 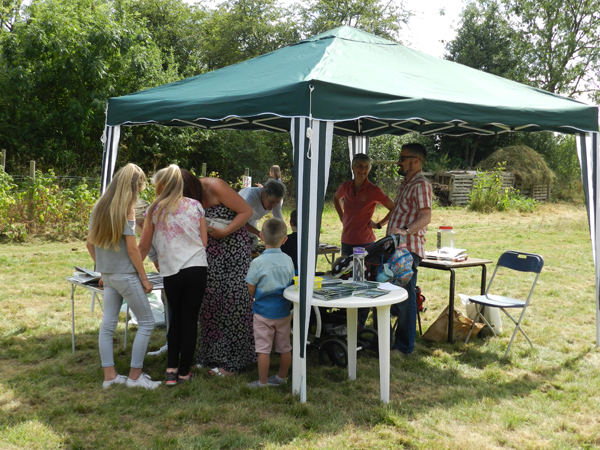 There was also the chance to relax in the orchard with some homemade cake and a hot or cold drink. The children had great fun – making lots of noise, running around looking for clues and making a sticky mess! The event also helped raise awareness of the existence of the orchard, the need for volunteers to help tend it and funds to maintain it. 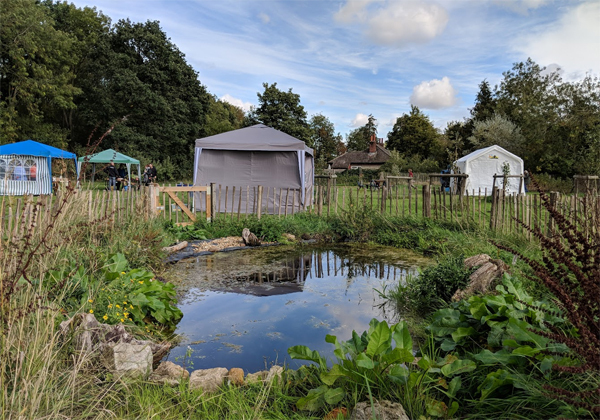 The event also helped raise awareness of the existence of the orchard, the need for volunteers to help tend it and funds to maintain it. Thank you to all that helped on the day both setting up and during the afternoon. 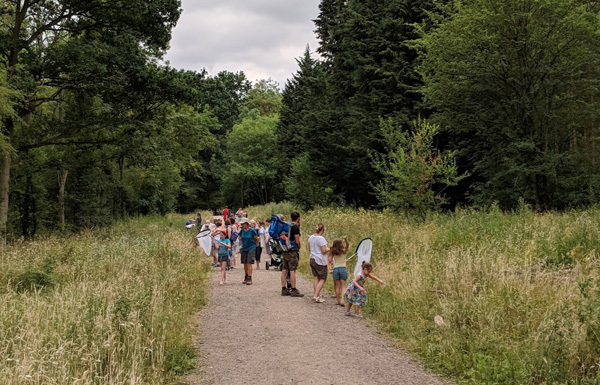 A large group of around 25 adults and children joined bug expert Dr Keith Porter to hunt for and identify insects in Bourne Wood. We were blessed with fine weather as we have come to expect in this extraordinary 2018 British summer! Before setting off, Keith demonstrated the various equipment we were going to use to seek out bugs and beasties. This included two types of nets plus beating trays. The latter is a framed square flat piece of fabric which is held underneath a bush to catch insects dislodged by striking a branch or bush with a stick. We had a successful afternoon and found a wide range of insects and spiders on the margins of the main ride through the wood. 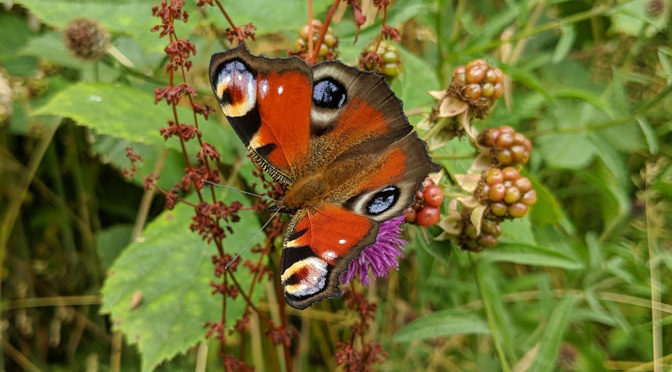 Ten species of butterflies were seen including several silver-washed fritillaries, which is Britain’s largest resident butterfly and particularly striking with its orange coloration and streaks of silver found on the underside of the wings. 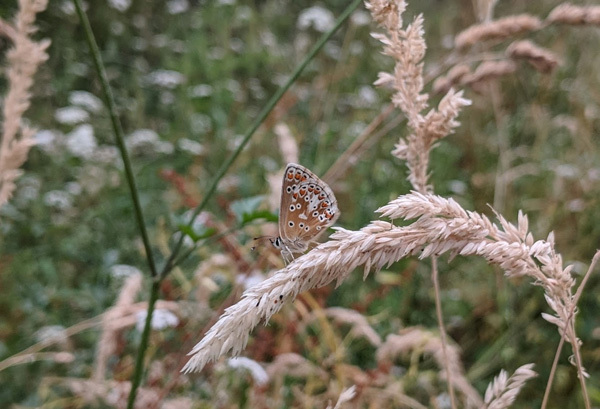 Although one of the “blues”, the Brown Argus is actually brown! At one stage, two brown hawker dragonflies observed us from above. This species is a large fast-flying dragonfly with distinctive golden-brown wings and which probably breeds in the ponds in the wood. 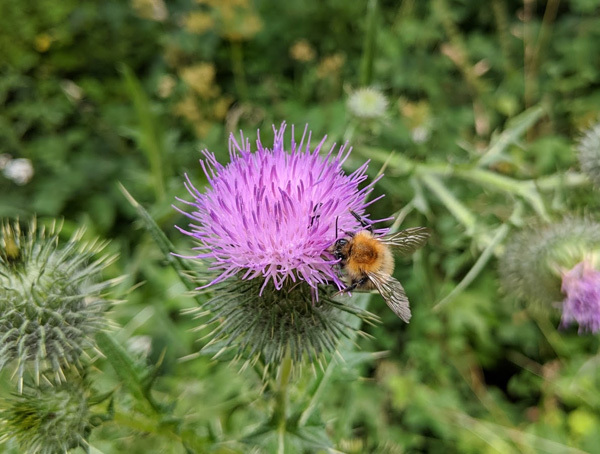 Other insects we encountered included several types of hoverflies, 7-spot ladybirds, shield and squash bugs and grasshoppers. A Silver Y moth was captured and Keith explained that this day-flying moth was an annual immigrant from continental Europe. And finally, a very strange looking pale yellow-green spider was found. This turned out to be a crab spider. These spiders don’t spin webs instead relying on camouflage and ambush. 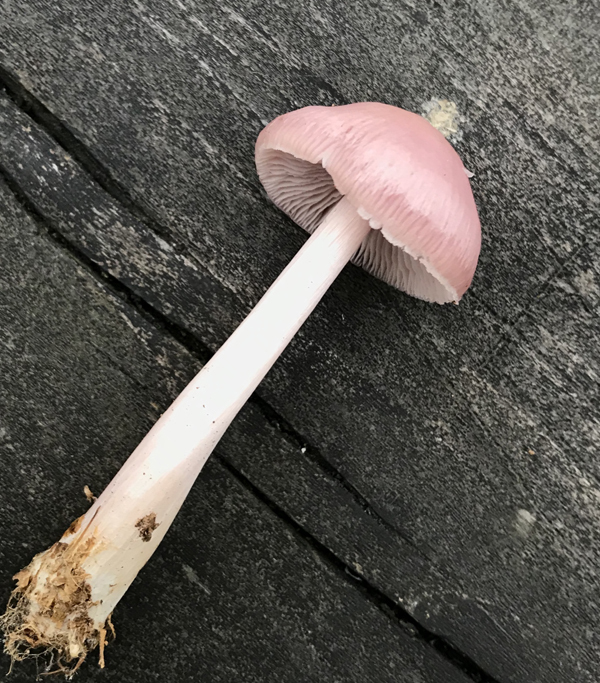 They hide in flowers, where they prey on flies and bees. Some species can even change colour to match the flower they are on. 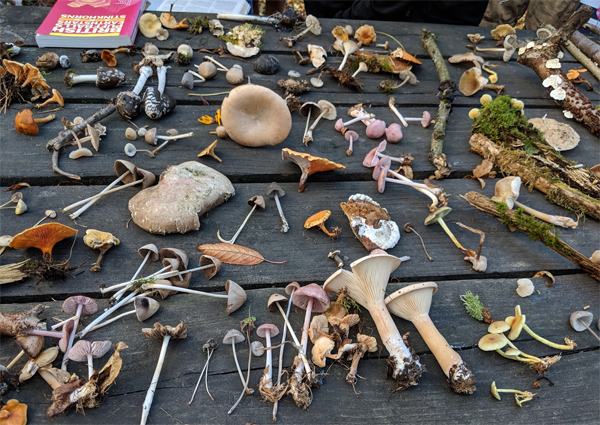 All in all, it was an interesting and enjoyable outing for the participants, and we are very grateful to Keith for sharing his expertise and enthusiasm with us.